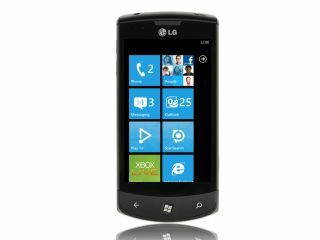 LG has announced a partnership with Microsoft to provide exclusive apps for free for its customers on Windows Phone 7 handsets. LG has been heavily involved in Windows Phone 7 - with the LG Optimus 7 one of the launch handsets – and the Korean company is keen to keep up the momentum. To that end, it has announced that it has agreed a partnership with Microsoft to offer 'a revolving portfolio of hand-picked applications, providing free access to quality applications that take advantage of the unique features and design of Windows Phone 7'. The apps will be across a broad range of categories and LG insists that apps to the value of $30 (c£18.60) will be handed out every 60 days. "When we pledged early last year to support Microsoft's smartphone strategy, we knew we were making a decision that had the potential to generate ripples in the ecosystem," said Chang Ma, Vice President of Mobile Communications (MC) Marketing Strategy Team. "Microsoft's commitment to the developer community is well known and respected in the industry, and we look forward to seeing this partnership with Microsoft lead to greater things." Windows Phone 7 represents Microsoft's big new push in the mobile phone market – and the company is keen to build an apps ecosphere that can compete with the likes of Android and Apple's market leading App Store for iOS. "We built the new Windows Phone Marketplace to create new business opportunities for developers and partners alike," said Brandon Watson, director for Windows Phone at Microsoft. "This collaboration with LG creates a win-win situation for consumers and developers and will further showcase the variety of quality games and applications available on Windows Phone 7."